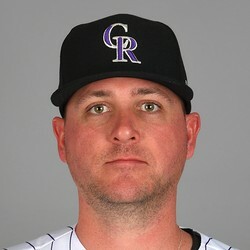 Jake McGee was in for the eighth inning on Friday during the Rockies 11-5 victory over the Braves on Friday. He relinquished two walks and struck out one. McGee walked Freddie Freeman and Tyler Flowers through his one inning appearance. Freeman acquired 2nd base through a defensive indifference play and eventually made it to third, but didn't get across the plate. He sat down the last batter with three straight fastballs ranging from 94-96 MPH.